CPM TV advertising is used to evaluate the efficiency of the ad. On TV, The Standard CPM is a ratio set on the cost of reaching a thousands of people ad views. CPM (cost per mille) is also employed in radio, newspapers, magazines, online advertising and out of home advertising. Instead of absolute cost, the CPM provides an estimate of standard cpm advertising rates for tv cost for every 1000 views of the ad. This will vary depending on the medium. If the cost of making the advertisement is $15,000 and the audience is 2,400,000, the calculation is CPM = $15,000/(2,400,000/1000) = $6.25. The CPM rates vary greatly, with various factors affecting the figures. In the United States, the highest per ad spot cost belongs to the Super Bowl. However, it also has a large number of TV viewers. This means the CPM may be compared to other cheaper spots used in regular programming. Here are some examples of CPM TV advertising rates and the show’s earnings. For network TV, the CPM is $20 to $40 for every advertisement. 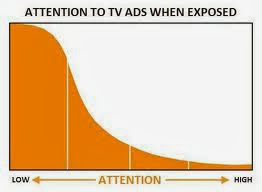 Usually, 16 to 19 ads are shown every thirty minutes. On cable the CPM is $1 to $15. For Hulu/online, the CPM is $10 to $40. There are usually one to four ads for every show. Stats will show that the network broadcasts make the most money. A standard 30 second spot on primetime can be sold for $400,000 to $800,000. This is for 15 to 30 million viewers. The typical TV network show in the US has an 11 rating. This means it gets to about 11% of the homes in the US with TV. If an advertiser purchases ten commercials with an 11.0 rating on the network, it will make 103,000,000 gross impressions. not just on TV but across varying mediums. In other words, an advertiser will be able to take the proper steps and make changes if necessary. The CPM TV advertising used to be based on household. The popularity of VCRs and cable TV has altered the scene however. Today the CPM is based on individuals.